Today is October 31st…. which normally is focused on “All Hallows Eve” AKA “Halloween. Today is also known (and for the church…I believe it should be remembered) as Reformation Day. A date that has it’s meaning from an action that took place almost 500 years ago. On this date in 1517, Martin Luther, a German priest sent a letter in order to understand the basis for the tradition of “indulgences” rather than authoritative foundation of Scripture. This became known as the 95 Theses which was later nailed to the doors of the Wittenburg church. The movement that carried forth from this moment ignited what became known as the Protestant Reformation. 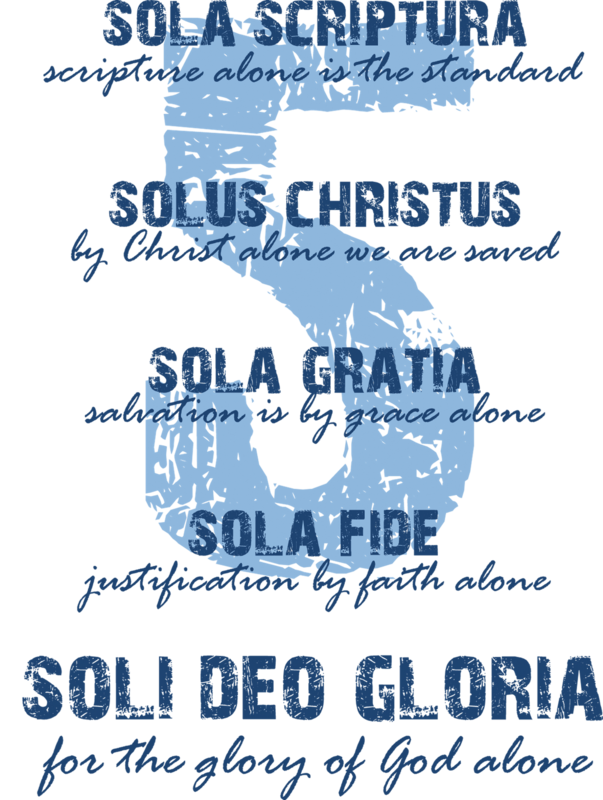 The Five Solae are five principles that share the conviction of what authentic faith really looks like biblically. They declare that salvation is found in and through no one else but Jesus Christ. No moral achievement or religious exercise of man can earn righteousness…it is only Christ who both saves and sustains. They signify to every believer that the Scripture is indeed the foundation that upholds our lives and the standard that directs our lives. This foundation of salvation in Christ Jesus…this direction of transformation by the scriptures & the Holy Spirit… It has a meaning; it has a destination. The destination & purpose of every disciple is to live a live that declares the Glory of God. One man took a step of faith to trust God and the authority of His words… and the wake of that legacy still moves on today. The same is possible for disciples today to live by Authentic Faith… believing and declaring that Jesus is all He says He is and that Jesus will do all that He says He will do. ← Here We Stand! …I Can Do No Other!